January 9th, “Gardening in the Pacific Northwest”. A gardener’s plant choices and garden style are inextricably linked to the place the gardener calls home. To grow a flourishing garden, gardeners must know the specifics of their region’s climate, soil, and geography. Join us as Paul Bonine, co-author of the new Timber Press book, “Gardening in the Pacific Northwest” shares his extensive experience and insight into successful gardening in the Pacific Northwest. Paul will bring books for sale. March 13th, “Dry Farming in the Maritime Pacific Northwest”. Up to a 50% reduction in summer water availability is predicted in Oregon within 50 years. It will be critical for the viability of farms in our region and the security of our food system to increase knowledge and awareness of methods of crop production that require little or no irrigation. 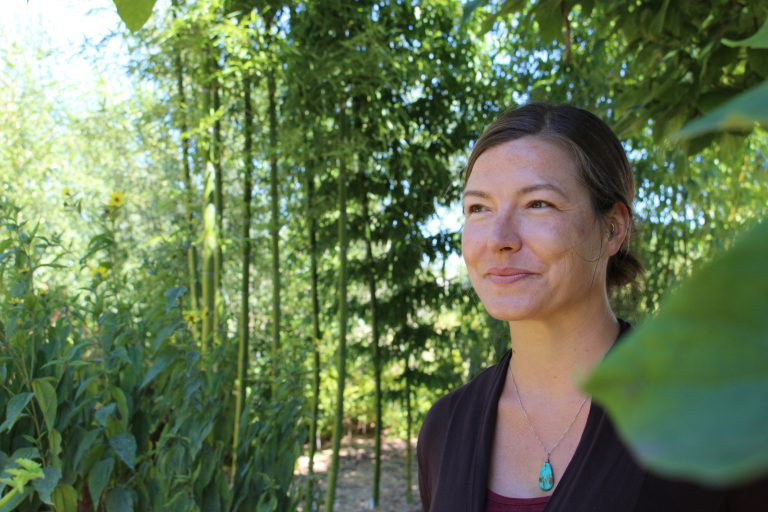 To initiate this project, a Dry Farming Demonstration was established in Corvallis, Oregon in 2015. This demonstration expanded to three OSU sites in 2016 and more than 10 farms in Western Oregon hosted dry farming trials via the Dry Farming Collaborative. Join us as Amy Garrett, OSU, shares how the OSU Extension Service is partnering with growers to increase knowledge and awareness of dry farming management practices, and hear about some of the results from their field trials. Learn how these techniques can be applied in the home garden. 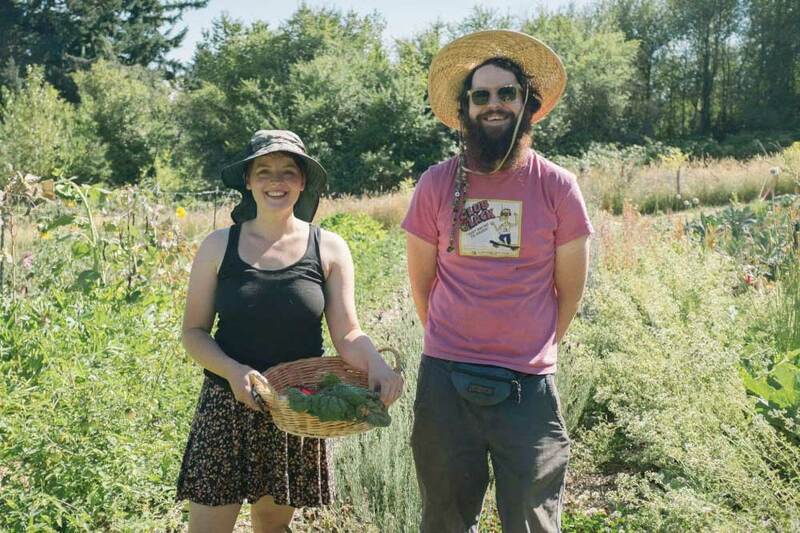 The Multnomah Chapter's Community Demonstration Garden finally gets a rest. The garden right off 60th avenue (6801 SE 60th Ave.), which we’ve worked in for many years has been asleep since early November, but some dedicated (foolhardy?) folks kept working in the new Annex until mid-December. Finally, we’ve given it a rest as well. Believe it or not - and probably a lot of volunteers would vote “not” - our first planning meeting for the new year is only weeks away on January 18th. If you’d like to get in on the ground floor (no basement available) of planning for the new year, come to the Woodstock Wine and Deli (4030 SE Woodstock Blvd.) at noon that day. If you’re not on the planning listserv (DemoGardenPlanning), send a note to DemoGardenNews@gmail.com, asking to be added. Actual work at the garden will probably start at the beginning of February with the planting of seeds in the greenhouse for later transplanting when the outdoor soil warms. Two of the beds, M & N, at the original garden will be allowed to go fallow this year. The year before last we discovered Symphylans in those beds. We attempted to grow potatoes in the beds last year, but did not have a very good crop. Our research indicated potatoes were the least affected of the veggies we usually grow, but no one is excited about trying to get a crop from those beds this year. The Annex (the nearly one-acre of land for our Demo Garden expansion plan) saw a lot of development this past year, with all of the planned perennial beds at least mulched for the winter, and some plants in nursery beds ready for spring planting. The major paths were dug out, and the path borders installed in some areas. We also covered the driveway turn-around with gravel, although that will be extended somewhat next spring. Work will probably begin again at the Annex in February whenever the rains permit. We’ll hold some hands-on classes on building raised beds as we start to construct the many that will be needed in our new Annex garden. Interested in keeping up with all the exciting happenings (garden planning, hands-on classes, seed starting, garden prep, etc.) at the Demo Garden and/or dropping-in to lend a hand come spring? 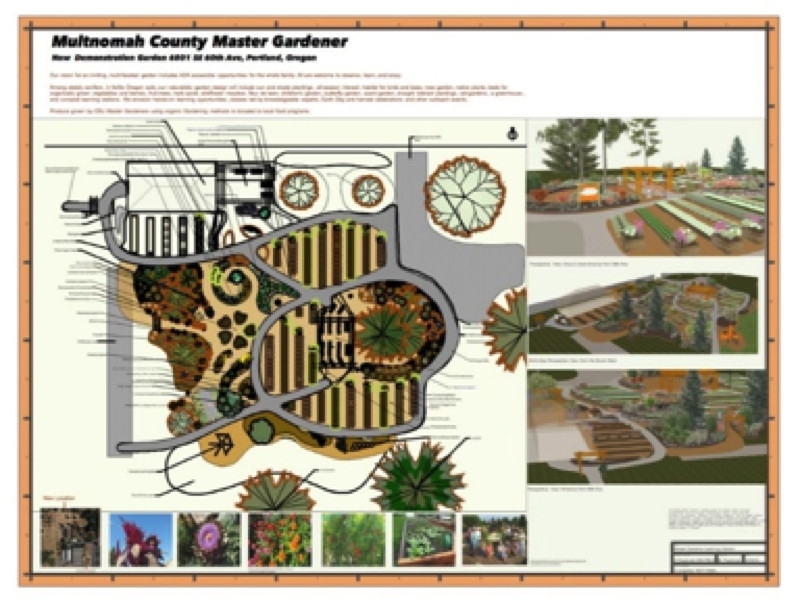 Email a "Sign me up" message to receive Demo Garden updates at DemoGardenNews@gmail.com. We look forward to you joining in! Renew Your Chapter Membership Today! It’s easy! Multnomah County Chapter Membership for 2018 is a terrific value at only $20! Your membership connects you with other committed, trained, valuable, and fun-to-be-around Master Gardener volunteers. Be the first to know the featured speakers for our monthly Speakers Series. Receive Chapter updates via our monthly eNews. Pocket the annual directory with member contact information, along with a calendar of local events and Chapter activities. Score exclusive invitations to tour the gardens of fellow members and other Chapter events. Extend your gardening education in a casual, social setting at gatherings and Chapter activities. Your membership assists the Chapter in fulfilling our mission of supporting the OSU Extension Service Metro Master Gardener Program and our Chapter’s community outreach programs, such as MG program clinics at community events, our pruning partnership with Oregon Food Bank, and our Community Demonstration Garden. You have three ways to renew: ONLINE, via USPS, or IN-PERSON at our January or February Speaker Series. For details on each of these methods follow this link. Renew now and join-in for a great year as a Multnomah Co. Chapter member!